The Striker 7.1, Claro (Plus), and Claro Halo (XT) support simultaneous optical and coaxial output. 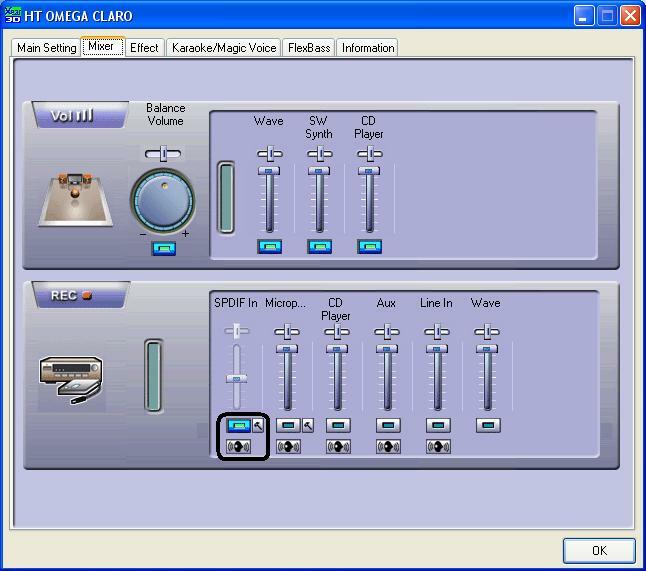 This feature can be used like a signal converter. 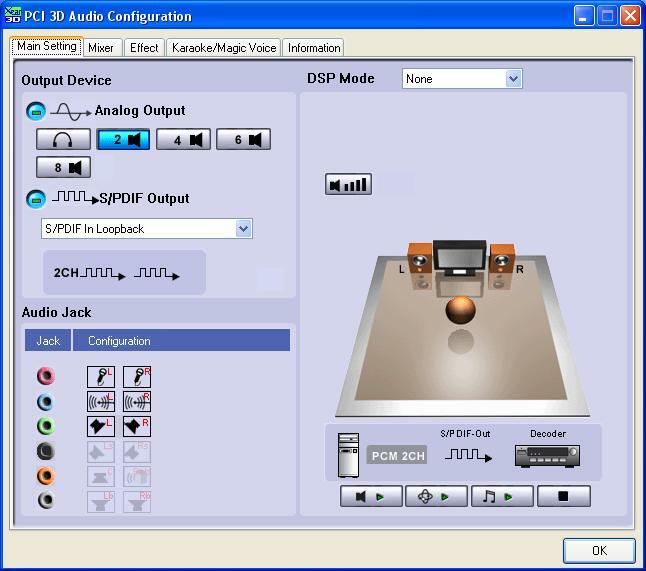 The S/PDIF optical output from an external device such as a CD / DVD player or gaming console can be linked to the sound card's optical input. The signal can be brought out from the coaxial output of the card. 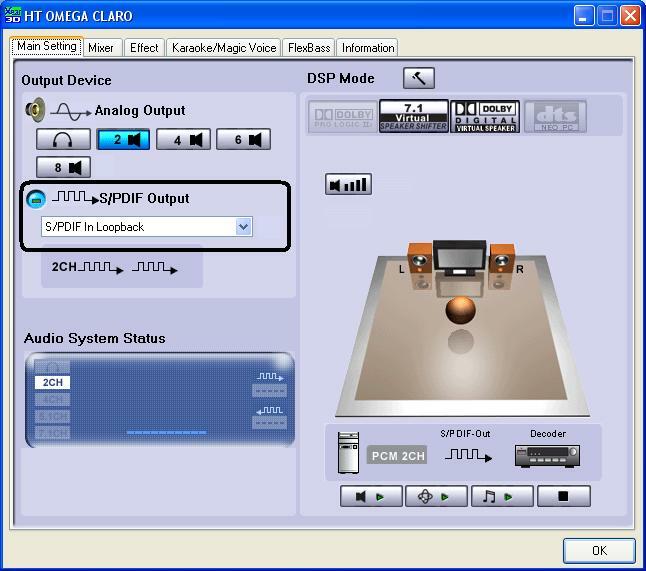 The optical output simultaneously sends out the signal as well. This is a useful feature if there are only coaxial inputs available on your AV receiver (no optical input). 2. 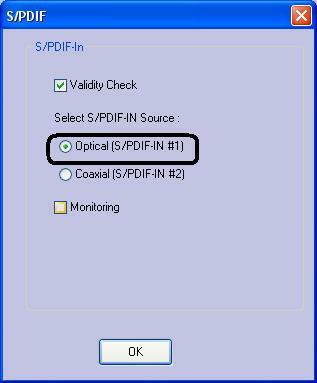 Check "Optical" as the S/PDIF option. Note: Do not activate "Monitoring"
2. 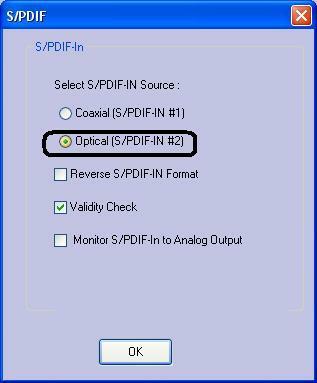 Check "Optical (S/PDIF-IN #2)" in the S/PDIF option. 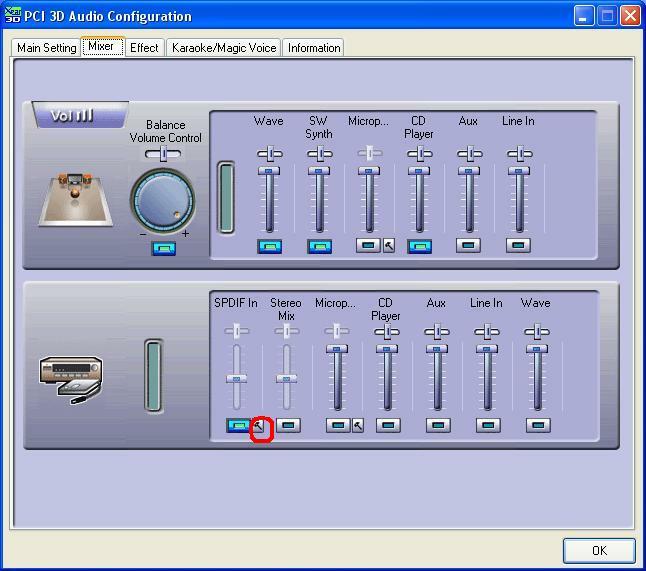 Note: Do not activate "Monitor S/PDIF-In to Analog Output." The signal going into the optical input will now come out through the coaxial output and optical output simultaneously.